Chicago police were chasing a stolen minivan when the crash occurred. 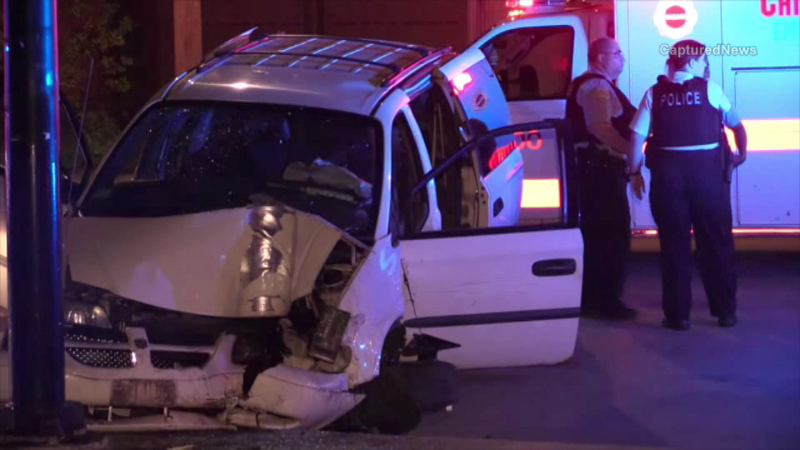 CHICAGO (WLS) -- A Chicago officer was injured early Wednesday after a police chase ended in a crash in the Pilsen neighborhood, police said. Two men stole a minivan in the 700-block of West 21st Street at about midnight, police said. Officers followed that stolen vehicle until it crashed into their squad car and then a light pole. A police officer and two men from the minivan were taken to the hospital with non-life-threatening injuries.